The answer is YES. First, stop using your camera for shooting. Because, when you delete photos from Powershot, these data are not really erase them forever, but only mark deleted file space as invisible for new files. So we have chance to recover deleted photos from Canon PowerShot with a Photo recovery software, if you don’t use it for shooting new photos or videos. 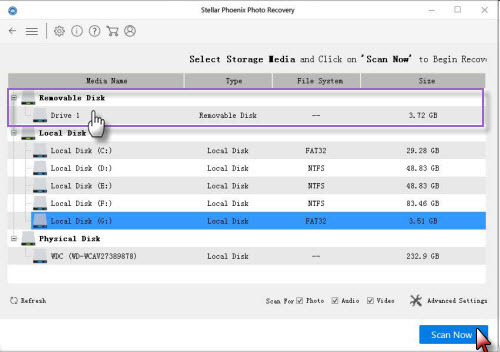 First of all, download Photo Recovery, Photo Recovery for Mac for recovering deleted, format or lost files due to other reasons from PowerShot like SX260, SX500, A2300, A2500, SX50, SX160, ELPH 110, SX280, etc in 3 steps. 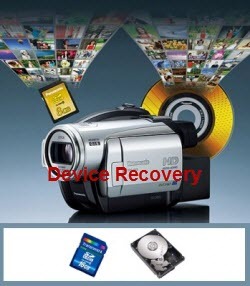 Moreover, the software support the recovery of other mobile phones, digital cameras, camcorders, hard drives, etc. Connect camera to the computer via a digital cable or using card reader. Then launch the program and click start scan. Choose the Removable Media and click “Start Scan” to find lost files on your PowerShot. After the scan, you can preview those photos one by one. If you find the needed, purchase the full version Canon PowerShot Photo Recovery to retrieve them to your computer with one click. Note: Don’t save the recovered data on your Canon PowerShot or the memory card again. Find another place for it like on your computer or other external disk, for safety’s sake. Canon PowerShot line is one of the most successful for Canon digital camera. S/SX/SD series (Canon PowerShot SX260, SX230, SX280, SX50, SX160, SX500, S110, S100, S95, etc), etc.